New Production Flywheel Assembly with Ring Gear & Pilot Bushing. 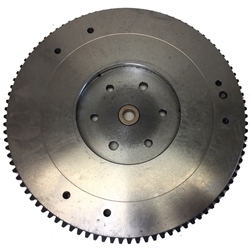 These are new for 2019 and are very high quality flywheels. They have the tapered type dowel bolts & have 97 tooth ring gears correct for all WWII jeeps & CJ2A's.